I miss the attention from you. 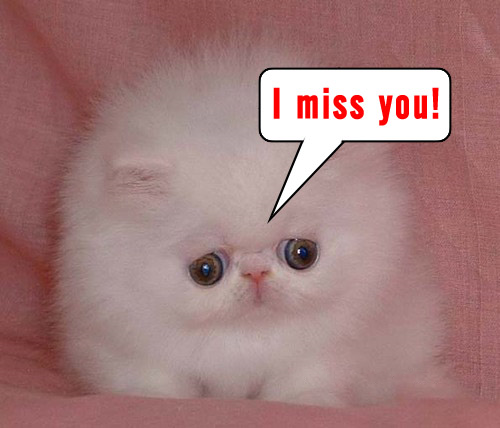 I miss the interaction with you. 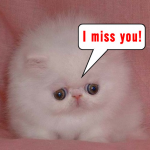 I miss . . . . you! Blogs come and go, and well this blog has been going for a long time now. But I figure why Just talk about my life, when I can also talk about stuff that interest me and hopefully you. How about new projects that I have worked on. But here is the thing. I do not know my audience. Which is you! I do not know you. So I want to get to know YOU better. So here are a few questions I’d like to ask you. What is your Favorite food or group of foods? What T.V. Shows do you like? Have you ever watched a show on HULU! I will post my answers in the about me page next week, so stay tuned! P.S. I will be making some new changes to the blog, so it will be easier to view movies and other stuff. Stay Tuned!